To bad you won’t be able to fly and ride this one home. You will get a work out reading the sellers description, so I will try to hit the highlights. 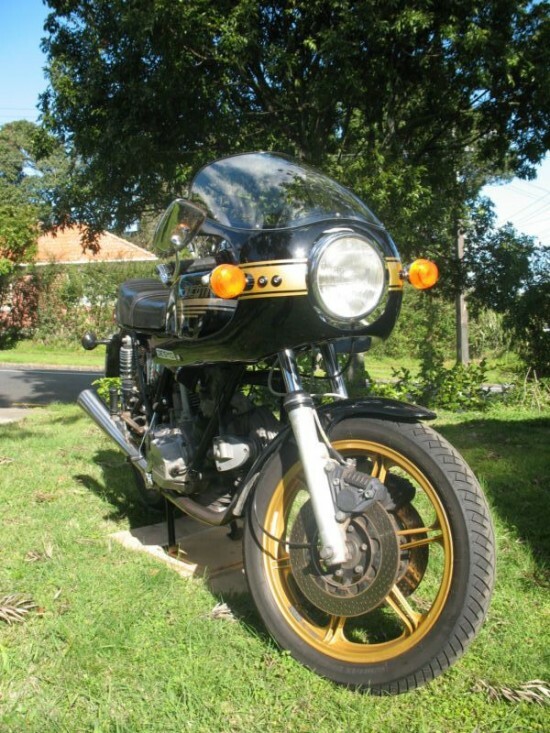 What I can tell is this is a Ducati 900SS that seems to have been loved and worked on by the current owner, and has spend some time traveling the world. From the original purchase in Italy, to England, and to its final destination in New Zealand. This Bevel dream has been around. The frame # is 90409. The engine # is 091741 (ON LHS Crankase) It is also, on RHS, marked with a “D” centrally above “DM860″….Mileage -Since the rebuild in late 2002 (just before shipping from UK to NZ) it has done approx 6200 miles – odometer mileage currently 36190 (I can’t recall the original mileage when I bought it)…If you want a concourse museum piece then this ain’t your bike. If you want a bike that been ridden, sounds as it should, seen a handful of TTs and a few race tracks, turns plenty of heads (and ears:) and has the potential to be spruced up into excellent condition that this is the bike for you It has the six spoked FPS mags (Not the dodgy speed lines) and six bolt discs. 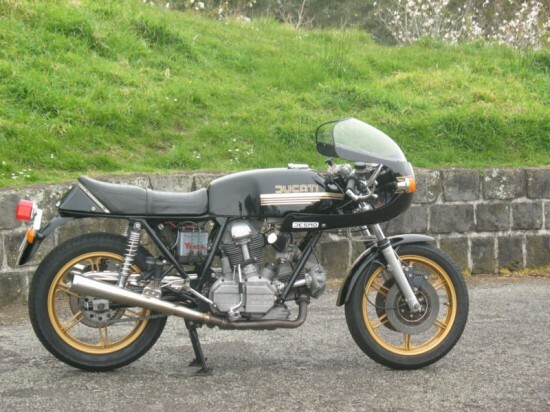 The 900SS had grown out of the very popular 750 Super Sport which was a celebration of Paul Smart’s victory at Imola. 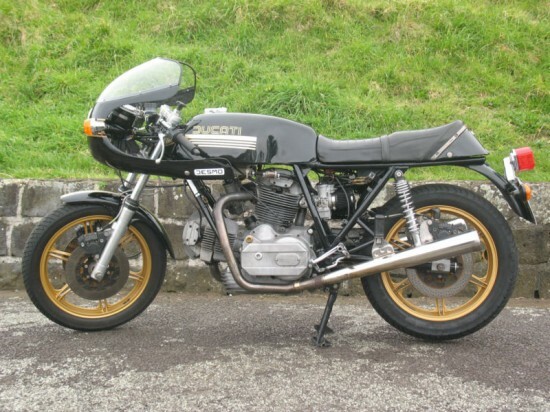 The 900SS having the effective Desmo head, HUGE 40mm Dell’orto’s, and barley muffled exhaust. 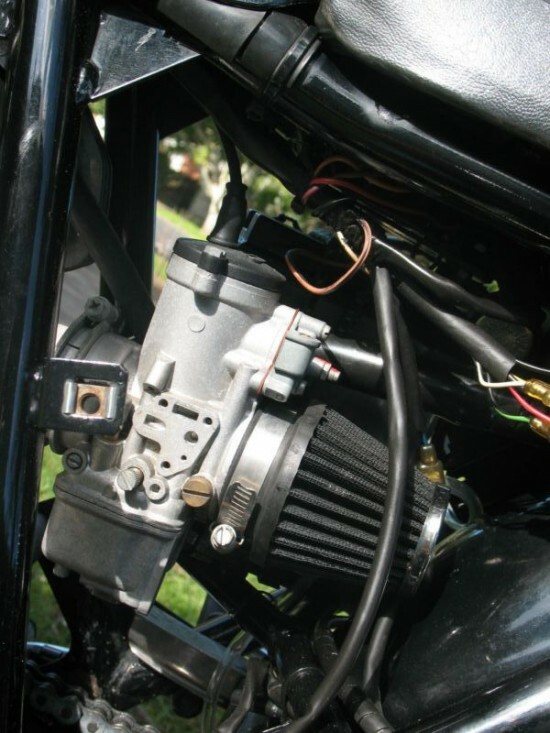 This combo gave the 900 Super Sport power number of 80hp at 7500 rpm, 12.6 ¼ mile times, and a top speed of 124.5mph. This example has the later cast wheels installed, but the seller includes some spoke wheels, and Classic Sports bikes need spokes. Mufflers (if you can call them that) are Keihan Stainless steel Contis. 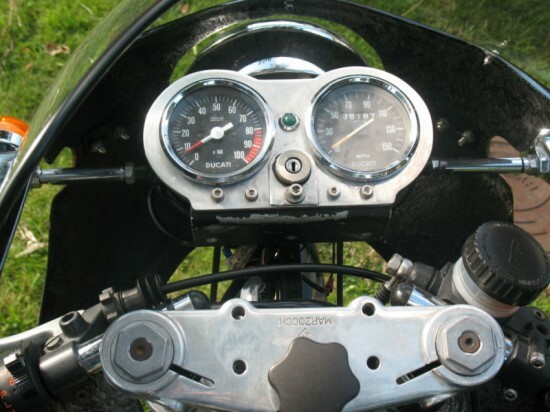 Rear indicators are after market – I have the Rear indicator support/bracket for CEV – Stainless Probably aftermarket – this will go with the bike. Custom built muffler/footpeg bolt spacer to enable sufficient clearance for muffler and sufficient thread for pillions pegs. My wife loves a good ride! !